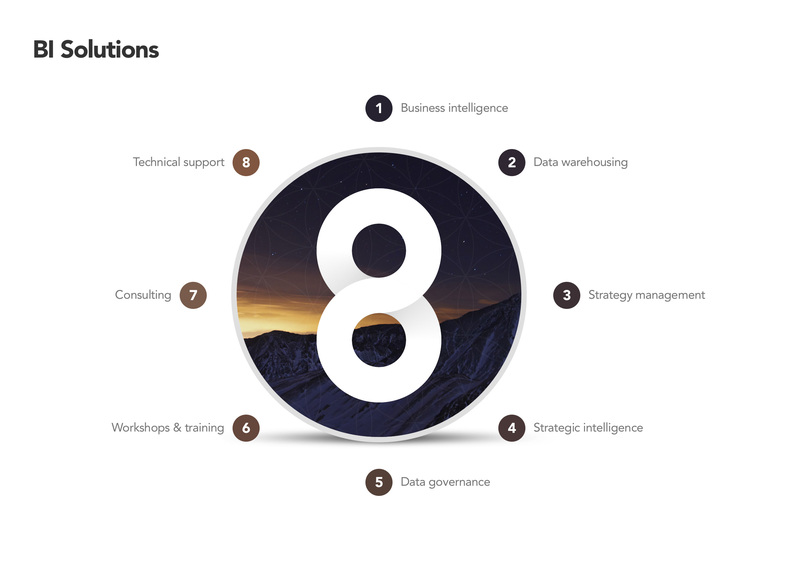 Minimal PowerPoint presentation for client meetings and software demos. The welcome screen of the presentation was designed to be displayed while the audience finds their seats and presenter takes the stage to introduce themselves. This logo was created by Viv Sellers of Creation. 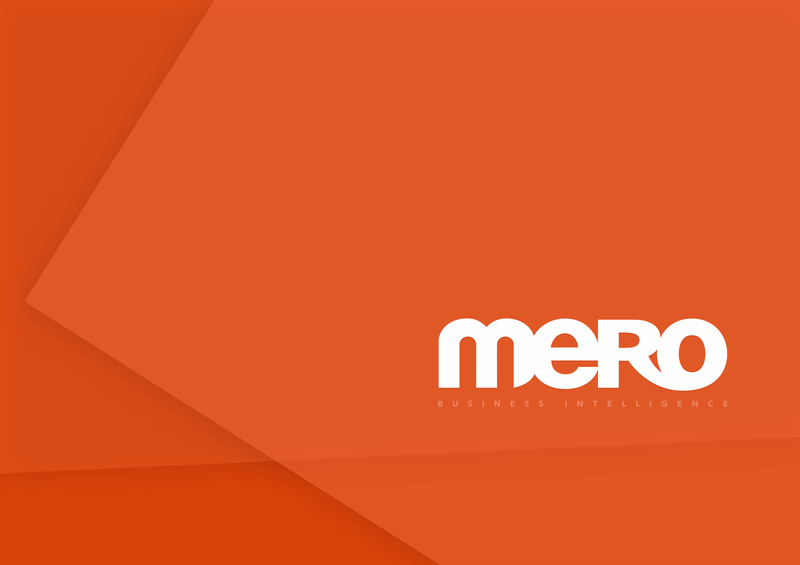 A complete list of business intelligence/data warehousing solutions and services Mero offers its clients. The solutions and services are pretty intertwined and complimentary each other, so it made sense to present it in an infinite loop. 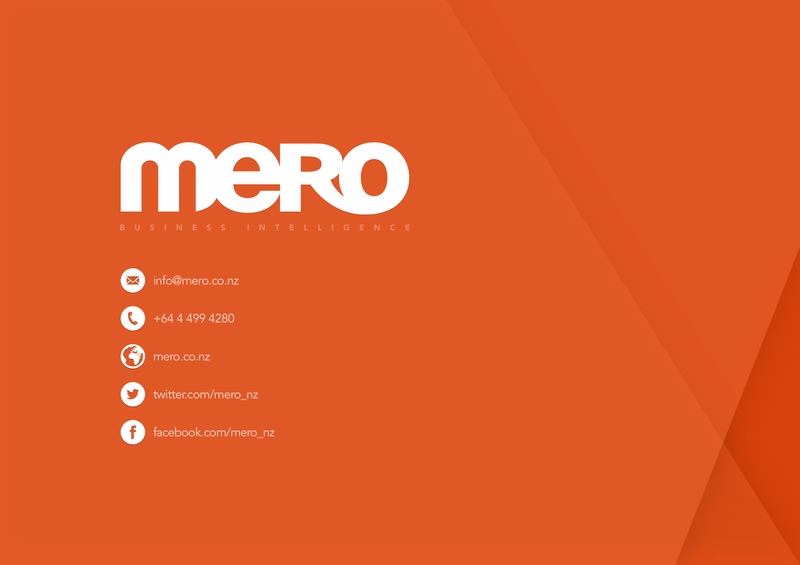 An overview of the business intelligence methodology cycle to help explain the process and approach Mero uses. Steps 3a – 3e is a continuous and iterative loop during the entire process. 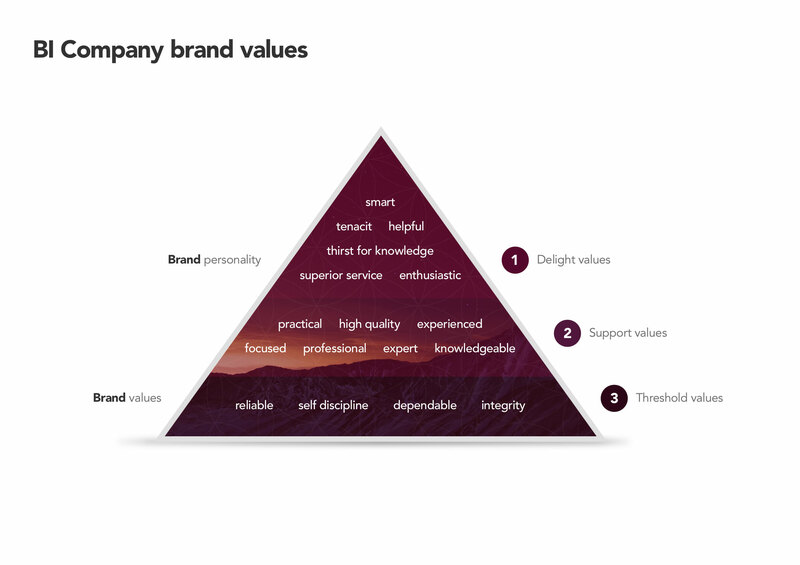 The brand values pyramid describes the personalities and values that make up the business, culture, and approach to business. 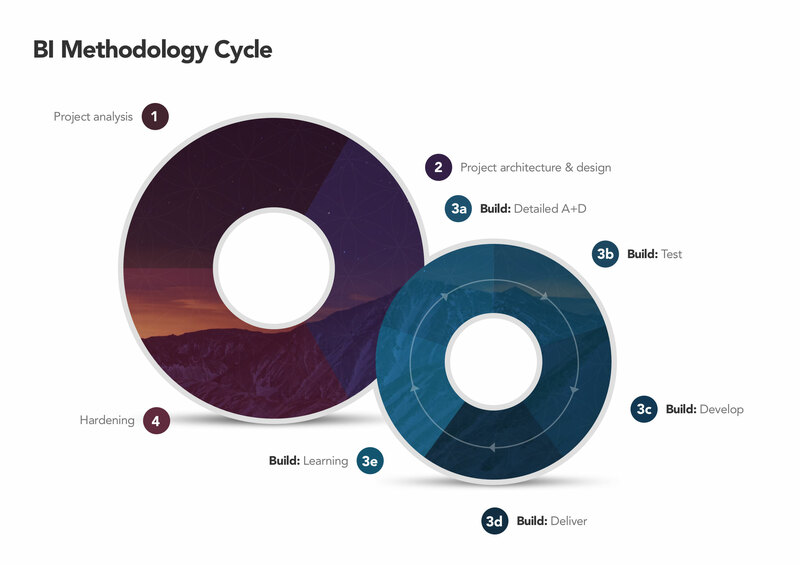 A solid foundation to innovate from and build personality and delight into the final solution. Social networking and traditional contact methods are provided at the end of the presentation. Also, it’s a great chance to get feedback and to answer some questions from the audience while providing additional context and clarity.